Obviously since the sad news of Bishop Philip North's withdrawal of his acceptance of the Bishopric of Sheffield, Bishop Glyn has been extremely busy speaking and meeting with clergy from across the Province, but in particular with the dear priests of the Diocese of Sheffield, hence the silence since last Thursday. However, with a few spare moments, Bishop Glyn wishes to express his own sadness at the news that Bishop Philip has decided that he is not able to become Sheffield's next Bishop. Bishop Philip is very much on his heart and in his prayers, as is the Diocese of Sheffield and indeed the whole of the Church of England. However, Bishop Glyn is thankful for the way in which the clergy and people in our branch of the family have responded to the situation we now find ourselves in, as a result of Bishop Philip's decision. Bishop Glyn met with the Priests in the Diocese of Sheffield on Friday morning for a quiet meeting of reflection and prayer before the Blessed Sacrament. On this coming Tuesday 14 March at 7pm at St John & St Mary Magdalene, Goldthorpe, Bishops Glyn and Tony will be present for Mass followed by a meeting for all clergy and laity of the Diocese to continue the period of reflection. We are grateful to Fr Schaefer for his kind invitation. Bishop Glyn commends the helpful initiative of The Society in the Diocese of Sheffield to hold a novena of prayer, which can be found here. And he will be joining in the Novena in his own private prayers. This morning Bishop Glyn did an interview on BBC Radio York reflecting upon Bishop Philip's withdrawal from the Diocese of Sheffield. You can listen to it here, starting at 1 hour, 8 mins and 10 secs. Bishop Philip has a lively, infectious and deep personal faith in Our Lord Jesus Christ and an equally enthusiastic commitment to proclaim the Good News of the Gospel. Bishop Philip also has a proven track record of demonstrating his deep sense commitment to the whole life of the Church of England and the mutual flourishing of all God's people, ordained and lay. 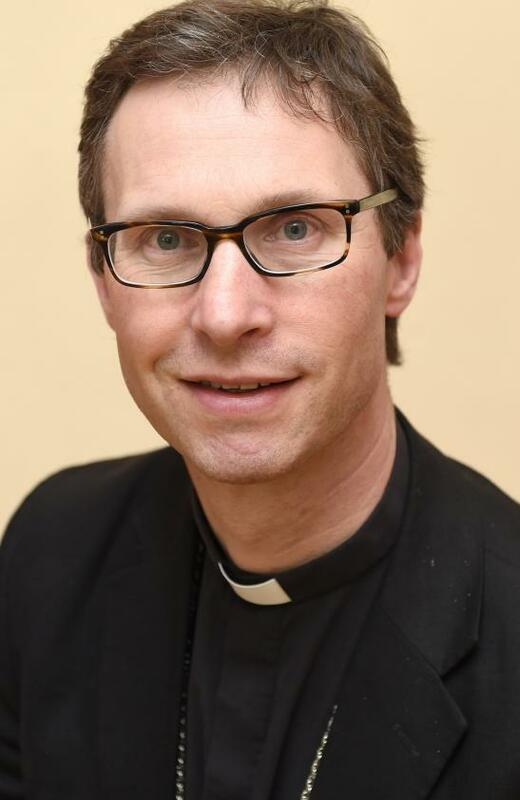 Along with everyone else, I will be praying for Bishop Philip, as he prepares to move accross the Pennines to serve in the wonderful Diocese of Sheffield. So my prayer is, God bless Bishop Philip and the Diocese of Sheffield. And may Mary, the Mother of God pray for us all!